The Houston- and Austin-based Web hosting provider HostGator offers features and pricing attractive for basic and more advanced users. Founded in a dorm room at Florida Atlantic University, it is now a global hosting services provider. There are now offices in Toronto and Brazil. HostGator has won several Web hosting awards, praising its speed, reliability, and support. It was voted Best Small Business Hosting provider in 2011 by WebHostingClue.com and won FindMyHost.com’s Editor’s Choice award in June 2011. In 2012, the company won Best Host of the Year for WordPress hosting for the second year in a row. Website-hosting-reviews.net made HostGator winner of the Best Free Website Transfer Service award in 2011. The company is a subsidiary of Endurance International Group. Its customers range from hobbyists to Fortune 500 companies and it has been recognized by many press and media outlets. A wide range of hosting options is available with 24/7/365 support, a 45 day guarantee, and 99.9% uptime. Customers also get the benefits of unlimited bandwidth, disk space, and email accounts. With this coupon you will receive powerful web hosting for only one penny during your first month with HostGator! Copy and paste our exclusive coupon 'MONETIZEPROS' located below into the 'coupon code' section at the checkout to claim this great deal! Our HostGator coupon lets you save on affordable and powerful Web hosting services. It’s hard not to take advantage of such an offer, especially with so many tools at your disposal. Click on the button on our page to open up HostGator. You’ll be shown the coupon when the website loads. Click on the option to use the discount. The sign-up process begins and the coupon will be automatically applied to the monthly price of the plan and options you choose. You’re then prompted to pick the plan level and domain; then proceed to where you enter a payment method, extras, and a password. Submit the order and your hosting plan is ready for use, at a low discounted price. Shared and dedicated plans are feature-packed and easy to use. Affordability, enhanced by our exclusive HostGator coupon, is another bonus. The Weebly site-building software is available to build user-friendly websites quickly. That’s a good thing to have if you’re not a pro webmaster. Unlimited domains even in the lowest tier plan gives a greater level of flexibility than most Web hosts. You can select from plan terms, from one month up to three years. Unlike other hosts, you have the option of Windows- or Linux-based shared hosting. Windows hosting is essential if you’re building and migrating an ASP.Net framework based site. WordPress support is available although the import process is not one-step like with other providers. A number of templates and a one-click application installer however, are available along with everything you need to launch a website from scratch. With HostGator, you have access to the most useful Web applications. You can create a blog, sell online, upload photos, open a forum, or take full advantage of a CMS or wiki. Shared Hosting: HostGator offers three tiers of shared hosting plans. You can now get discount coupons on the Hatchling Plan, Baby Plan, or Business Plan. If you go beyond the entry tier, domains are unlimited, while all three include one-click installs, unmetered bandwidth, and a shared SSL certificate. The top tier includes a free IP and a toll free number. Otherwise, the broad range of features are identical for all plans in the shared hosting system, saving for e-commerce functions. VPS: HostGator names all its VPS plans Snappy. They range from Snappy 500 to the 1000, 2000, 4000, and 8000 plans. Snappy 2000 is the default tier and includes two CPU Cores, 2GB RAM, 120GB of disk space, 1.5TB of bandwidth, and two IP addresses. At the 8000 level, you get four CPU cores, 8GB RAM, and 240GB of disk space plus 3TB bandwidth. You can order each service with or without a cPanel. Dedicated: Basic, Standard, Elite, and Pro dedicated servers are available. The servers come with cPanel and WHM control panels and WHMCS or WHM AutoPilot billing systems are included as well. HostGator’s servers are located in various geographic destinations around the world to increase flexibility, performance, and reliability. HostGator Optimized WP offers full WordPress management. The company supports over one million WP sites each day. Its service includes free migration, higher speeds, and complete site administration. This includes automatic software updates and plugin installations; file and database restoration; and email accounts. Scalability and security are also major features of the plan so you get the most of our discount coupon code. 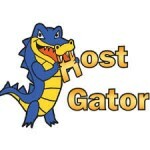 HostGator supports Linux, MySQL, Apache, and PHP. In addition to WordPress, sites can be hosting on Joomla, Drupal, or Magento. The host also provides some of the most popular wiki hosting software and also supports phpBB hosting for an open source, configurable solution for creating forums. HostGator’s support includes telephone assistance, Web chat, and a knowledgebase which is quite extensive. Quick Links enable you to contact support, start a live chat, create a ticket, and manage billing. The support page also features various sections that allows you to access Account Add-ons, Forums, and Video Tutorials. You can also browse by topic as well or view helpful resources from sidebar menus. Personal and Enterprise plans are available and HostGator offers tools for starting an ASP.NET website. Other tools include the Parallels Plesk control panel, MySQL, Microsfot SQL, and Access Databases. Additional website building tools are included and there are over 4,000 free templates. Administrative tools include AWStats, a web-based file manager, Webalizer, Raw Log Manager, and password-protected directories. The company provides a one-stop shop for domains complete with pricing per extension type and plan term. You can easily find domains using its website search tool. With each domain, you get free domain locking, domain renewal, and a management panel. Weebly is a drag-and-drop website builder you can build sites with within HostGator. Create slideshows, social media links, and contact forms. With the tool, you can install CMS platforms and use its File Manager to upload files, or an HTML editor to edit them after you activate our HostGator coupon. Obtain e-commerce tools via Mojo Marketplace including DaDa Mail, or go to Quick Links to access Magneto, phpCOIN, SugarCRM, or ZenCart tools.